Driftless Pictures– Investments made in world class cinema. OFFICIAL SELECTION: CHICAGO PALESTINE FILM FESTIVAL. Screening soon at The Gene Siskel Theater. 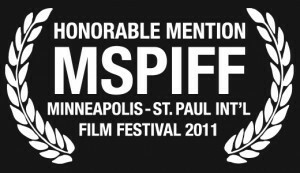 T67 received an Honorable Mention @ MSPIFF 2011 and sold-out the first screening! Thanks to all our fans, supporters and MSPIFF movie-goers for checking out our Slow Cinema film on the big screen. We always love to get feedback and would love to hear your personal thoughts. To contact Dan Tanz, director of Triumph67, for interviews or speaking engagements, click here. World Premiere of Triumph67–SOLD OUT–@MSPIFF! Copyright ©2010 Driftless Pictures, LLC. All Rights Reserved.